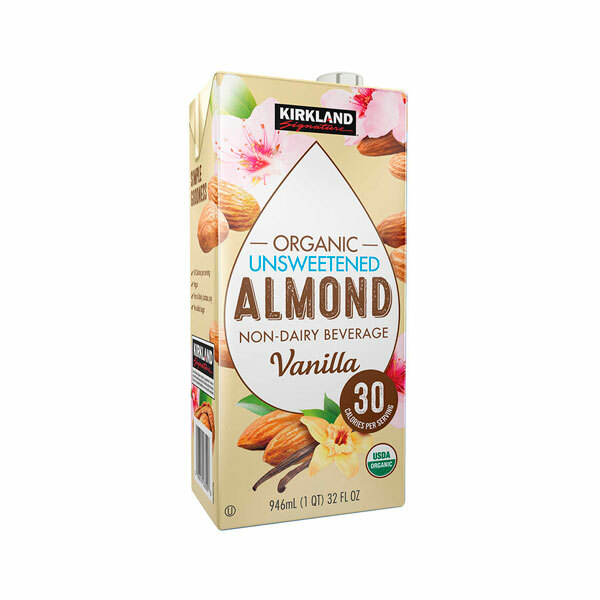 Kirkland Signature Organic Unsweetened Almond Vanilla Non-Dairy Beverage is made with carefully selected organic almonds sourced from Spain. The almonds are lightly roasted to our specifications to bring out the best flavor and create a beverage that is well-balanced and complements cereal, oatmeal, coffee or as the base for your favorite organic smoothie. Delicious Banana Berry & Oat Smoothie recipe on back of each carton! YUM!